Singapore-based Agnificent Platform Technologies Pte. Ltd that runs Khel Now, a crowd-managed platform that aims to bring sports-related content and social networking together, has raised $350,000 from Anglian Omega Network, it said in a statement. Anglian is also taking an advisory role in the company. 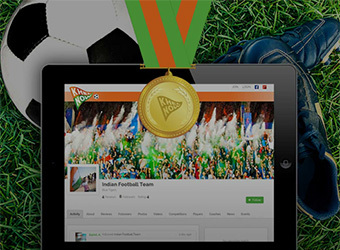 Khel Now platform connects sports fans and other stakeholders â€“ associations, leagues, teams, coaches, academies, fields, gyms, sporting brands and businesses â€“ from around the world using location-specific and crowd-sourced content and social networking. "Having worked with many traditional sports businesses and operations, we noticed an opportunity for a digital sports platform with mobile and social networking capabilities. Khel Now addresses this gap, especially for those at the grassroots and amateur levels," said Sunny Narang, chairman, Anglian Omega Network. The new capital will be used for user acquisition and improve the firm's existing offerings. Khel Now was founded in April 2014 by MIT alumnus Dhruv Ratra. "While we have had tremendous success reaching out to engaged fans, we want to continue making inroads in to local schools, colleges, youth academies and other grassroots initiatives across India and beyond," said Ratra. Anglian's first investment has been in Leh Leh Sports, a startup that addresses problems faced by people who want to engage in sports activities. It helps find space, partners and teams to play with and solves organisational hassles. In June this year, sports-tech startup Athletto raised an undisclosed amount in angel funding from Atul Ingle, managing director at Nagpur-based Renuka Electricals & Controls Pvt. Ltd.
A month earlier, Play Your Sport raised pre-Series A funding from a bunch of investors led by Ashish Gupta, former chief operating officer at Evalueserve. Prior to that, goSporto raised $30,000 (Rs 20 lakh) in seed funding from Singapore-based angel investor Naveen Gupta.